Collaborate with our frame artists to create perfect custom metal and aluminum frames. 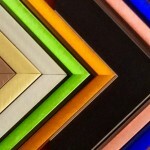 Custom metal and aluminum frames offer incredible versatility for all your framing needs. Their clean lines and polished look make them well suited to any modern décor, and certain styles will look equally at home in a traditional or vintage space as well. 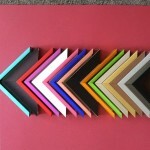 With painted metal frames available in a rainbow of colors, there really is no limit to the looks you can create. Whether you want bold custom metal and aluminum frames that will steal the show, or slim understated ones that will let your art take center stage, you’re sure to find what you need at Allan Jeffries Framing. 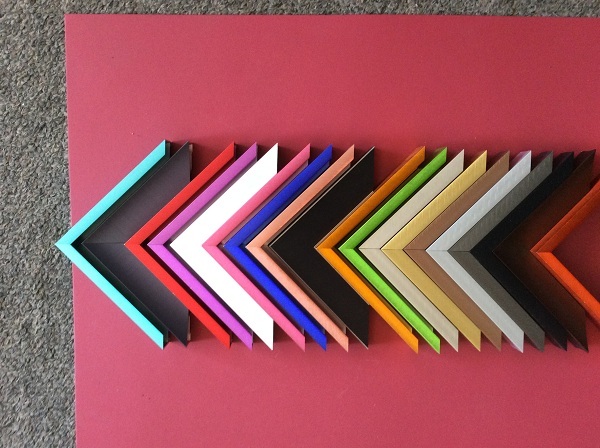 We have thousands of metal frame moulding samples in stock for you to choose from, as well as plenty of options for mats, backing, mounts, and glass. There’s virtually no style or budget we can’t accommodate. All of our frame artists have been handcrafting frames for years. Some of them even have decades of experience under their belt. This means you can trust them to produce perfect custom metal and aluminum frames every time. Our meticulous care doesn’t stop at the parts of the frame you can easily see—we also make sure the materials and workmanship on the inside are more than equal to the task of protecting your art for years to come. If our work on one of our custom metal or aluminum frames turns out to be flawed in any way, we will fix it, even if this means we have to redo the entire frame. We invite you to visit one of our frame shops to swap ideas with our frame artists and pick out the design of your custom metal and aluminum frames today.